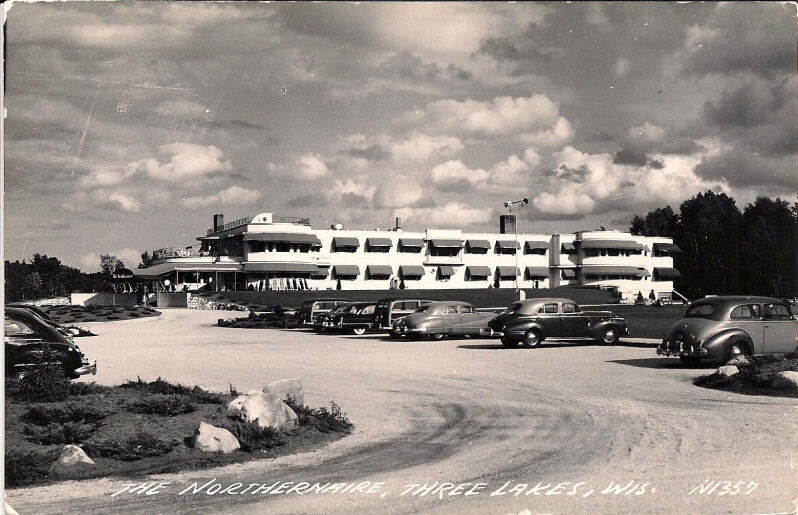 It was a resort called Northernaire, and it was frozen in time in the 1950s. 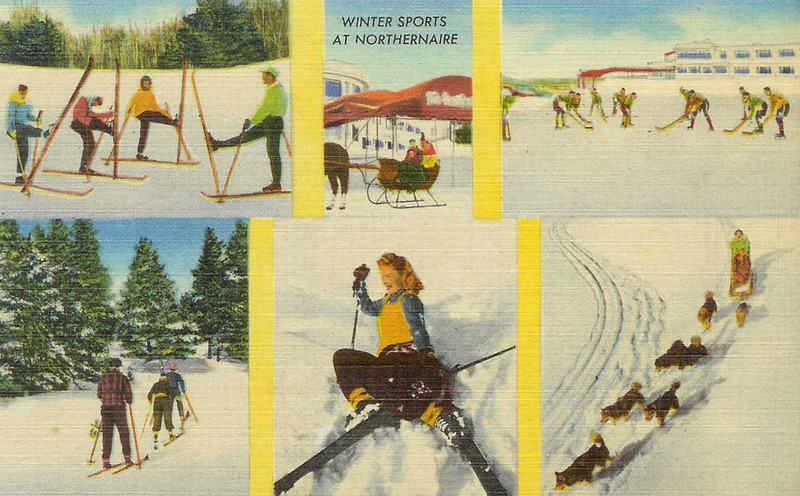 Our family went every winter to ski, sled, and skate in woodsy Three Lakes, Wisconsin. The owner, Carl Marty, loved animals. He trained his beautiful Saint Bernard dog, Bernice, to be a nursemaid to the many orphaned creatures living there. Carl Marty took the stage with his pet Saint Bernard, Bernice. Carl may have been completely bombed, I couldn't say for sure. Uncertain as I was, Carl Marty did speak at length while cigarette after cigarette ashed down his turtleneck. He told stories of Bernice's bravery in rescuing injured woodland creatures -- birds, squirrels, rabbits, deer, and chipmunk. At his feet unmoving, lay Bernice, looking exhausted from her many sallies, or perhaps dead. Nonetheless, incapable of getting Carl off the stage. One of Bernice's most famous rescued charges was a deer named Michael, who thrilled us kids by wandering the dining room every evening. He pooped on the carpet more than once -- hello Mr. Health Inspector? But that was a different time and the resort was rumored to be popular amongst the Chicago mafia circuit. So maybe Michael the Pooping Deer paid protection and thus was exempt from some of the rules pertaining to the operation of wild animals in dining rooms of family resorts. Michael the Deer, kissing what could be either a jack rabbit, a cocker spaniel, or a small bundled skier. One year, my sister fell and sprained her wrist. My parents wrapped it, set her up on a chair in the hotel lobby window overlooking the ski hill, and went back out to schuss away the rest of the afternoon. Now that's the sort of parenting we lack today, don't you think? They did buy her a box of candy bars to hand out to the hotel guests who inevitably wandered over to chat with the cute little injured girl. All smiles. Moments before the sprained wrist. That afternoon, missing my sister in the stem-christie class, I was comforted by a picture forming in my head of gentle Bernice, watching over the injured girl in the lobby as she fed bits of chocolate to Michael the Pooping Deer. Somehow I believe the gingerbread man is really Bill Murray. It's the smirk. 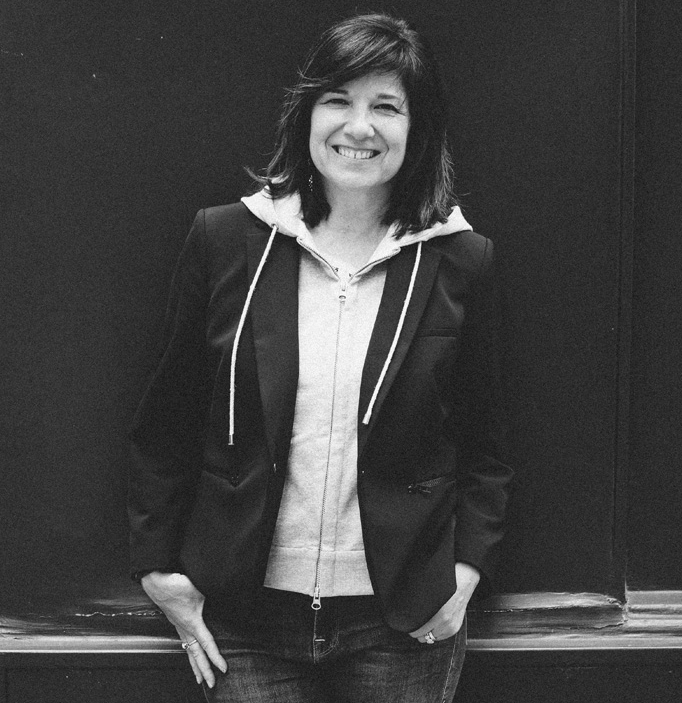 Photo by Renn Kuhnen.